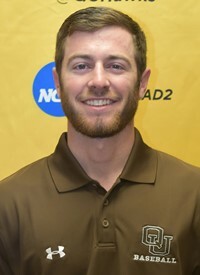 Josh Rabe enters his eighth season as head coach of the Quincy University baseball program. Rabe, a two time All-American with the Hawks, guided the Hawks to a 37-23 record last season and guided the Hawks to their first NCAA Division II World Series. Last season, the Hawks made the deepest post season run in school history under the direction of Rabe. Finishing with a 37-23 record the Hawks went undefeated in the GLVC tournament to claim the program's second GLVC tournament title since 2011. The Hawks went 5-1 in the NCAA Midwest Regional including two wins over Northwood University on the final day of the tournament to claim QU's first NCAA Regional Title. Jake Walters was the sixth All-American to play under Rabe. JC Demuri and Troy Wehde were each named All-Region performers and 8 Hawks were named to the all-conference team. Walters 18 home runs last season were second most in school history (Ryan Snyder-23). Graham Spraker was drafted in the 31st round by the Toronto Blue Jays. Spraker was the second player selected in the amateur draft in the past two seasons that have played under Rabe (David Jacob-2016-Toronto Blue Jays). Rabe was named 2017 Midwest Region Coach of the Year. Rabe currently is second all-time in wins with a career record of 236-144, trailing just his former mentor Pat Atwell (288). In 2016, the Hawks were one of the best offensive teams in school history under the direction of Rabe. Hitting .334 as a team and breaking the school record for home runs (89) while scoring 517 runs. Rabe coached two All-Americans on the 2016 squad, Ryan Snyder (1st Team All-American) and Justin Blechle (2nd Team All-American). Snyder broke multiple single season school records during the 2016 season, including home runs (23) RBIs (88) and hits (92) while garnering Midwest Region Player of the Year and GLVC Player of the Year honors. The Hawks had 9 players named all-conference performers. In 2015 Rabe led the Hawks to a 40-17 record , finishing as the runner-up in the GLVC Championship Tournament and hosting the NCAA Division II Midwest Regional Tournament as the top seed. Rabe was named the GLVC Coach of the Year after the Hawks won 40 games for the fourth time in school history and the first time since 2006. Rabe has guided the Hawks to the GLVC Championship Tournament in all 7 of his seasons at the helm. QU won its second GLVC tournament championship in 2017 under the direction of Rabe. QU was the runner-up in the GLVC Championship Tournament in both 2015 and 2014. In 2013, the Hawks finished with a record of 27-19. The previous season (2012), Rabe led the Hawks to a 28-21 finish. In his first season with the Hawks, Rabe led the 2011 squad to the program's second-ever GLVC Championship title, finishing with a 35-20 overall record. Rabe was a member of the Hawk program from 1998-2000, where he was named the Great Lakes Valley Conference Freshman of the Year in 1998 and GLVC Player of the Year in 1999 while being named First Team All-Conference all three seasons. He helped the Hawks to the 2000 GLVC Tournament title and is still in the top 10 all-time in runs scored, career hits, doubles, and home runs, career batting average and runs batted in. Following his junior season Rabe was drafted in the 11th round of the Major League Baseball draft by the Minnesota Twins, reaching the major leagues in July of 2006, hitting .286 and helping the team to the American League Central Division Title. Rabe was named and All-Star at each of his minor league stops and was named the Twins' Man of Steal Award in 2004 for leading the organizations minor league affiliates in stolen bases. Rabe played professionally for nine season before retiring in 2008 due to injuries and entered the coaching ranks by joining the staff of fellow GLVC school Saint Joseph's College. Rabe spent two seasons with Saint Joseph's, serving as the program's recruiting coordinator and hitting coach. Under his direction the Pumas hit 51 home runs in 2009, the third most in school history. Rabe has coached 59 all-conference players, 27 All-Region performers, six All-Americans, and three Major League Baseball draft picks. This includes two GLVC Players of the Year (Ryan Snyder 2016, Nick Tindall 2013) and two Midwest Region Players of the Year (Ryan Snyder-2016, Nick Tindall 2013). Under Rabe the four All-Americans include; Ryan Snyder (Consensus 1st Team All-American 2016), Justin Blechle (2nd Team All-American 2016), Nick Tindall (3rd Team All-American 2013), and Brian Thompson (Honorable Mention All-American 2011). Graham Spraker (2017 Toronto Blue Jays), David Jacob (2016 Toronto Blue Jays), and Rich Ruff (2011 New York Mets) are the three draft picks to have played under Rabe. Rabe graduated from Quincy University with a bachelor's degree in Political Science and a master's in Education. He was inducted into the GLVC Hall of Fame in 2007 and the QU Hall of Fame in 2011. 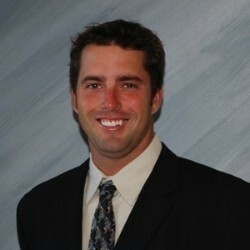 Josh resides in Quincy with his wife Debby, daughter Paige, sons Cal and Cam. Josh Keim enters his third season on the QU coaching staff, his second season as the hitting coach and third as the infield coach. Keim spent last season as the Hawks hitting coach, working with the infielders and hitters. Keim has also assumed the role of recruiting coordinator following the 2017 season. In 2017, the Hawks posted a team average of .296 while scoring 411 runs and belting a 76 home runs (2nd most in program history). The Hawks fielded .962 while making their first trip to the NCAA Division II World Series. Under Keim, Jake Walters was named an All-American, while JC Demuri and Troy Wedhe were both named all-region performers. In 2016, while working with both the hitters and infielders, Keim helped coach one the most dynamic offenses in Quincy baseball history. His hitters racked up a .334 team batting average, belting 89 home runs, 124 doubles and scoring 517 runs over the course of the 57 game season. Under Keim during the 2016 season, three Hawks experience career seasons. Ryan Snyder enjoyed one of the best seasons in QU history. Snyder batted .444 (3rd best in QU History), with 92 hits (QU record), 23 home runs (QU record), 88 RBIs (QU Record), 19 doubles, and 72 runs. Snyder was named GLVC Player of the Year, Midwest Region Player of the Year, National Player of the Year Finalist, and consensus First Team All-American. David Jacob enjoyed one of the best careers in QU history and capped his career with his best as a Hawk in 2016 under Keim. Jacob hit .392 with 80 hits, 11 home runs and 61 RBIs in 2016. Jacob was the Gold Glove recipient by ABCA as the best defensive first-basemen in the Midwest region Following the season Jacob was drafted in the 40th round by the Toronto Blue Jays. Justin Blechle also experienced a career season under Keim's direction. Blechle raised his average to .346 in 2016 with 13 home runs, 15 doubles, and 54 RBIs. For his efforts, Blechle was named a Second Team All-American. In his first two seasons the Hawks defense posted a .963 fielding percentage, one of the top team defensive performances in the Great Lakes Valley conference. During the 2016 summer, Keim coached in the Northwoods Summer Collegiate League, one of the best summer leagues in the country, with the Rockford Rivets as the hitting coach. Keim comes to Quincy after playing 2 seasons with St. Josephs College in Rensselaer, Indiana. In his time with the Pumas, Keim was a First Team All-GLVC performer in 2014 and recorded over 100 hits in just 2 seasons in the cardinal and black. Previous to St. Joe’s, Keim played one season at Black Hawk College and Illinois State before finishing his career at St. Joe. Keim is originally from Rock Island, Illinois and has one younger brother, Hunter, who is a pitcher for the Hawks.